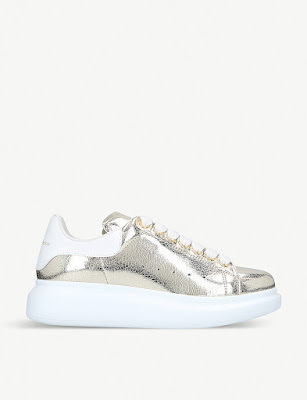 We are no longer wearing plain white sneakers; it’s now all about the dazzle and the glitz and of course lots of glitter so you have the perfect marriage of fabulous comfortable trainers yet a huge dash of glamour with metallic leather and glittery trim. 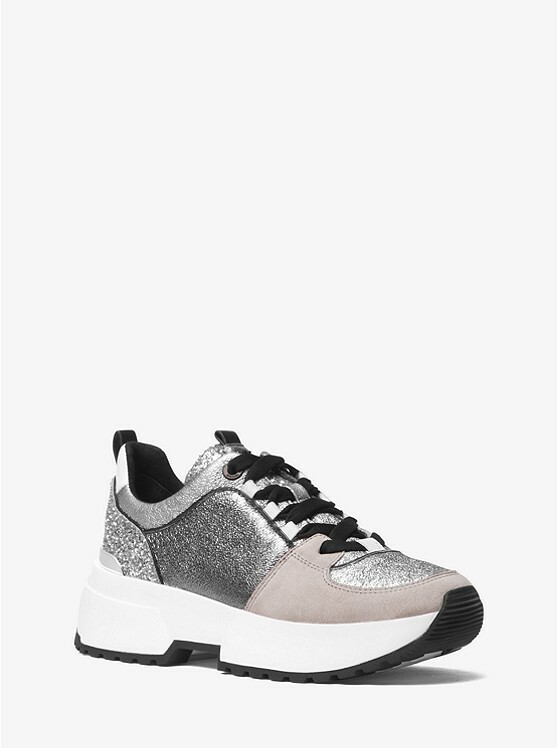 Designed with a flexible upper that promises comfort, these metallic silver 'Race Runner' sneakers from Balenciaga are a modern statement in a clash of leather and mesh. 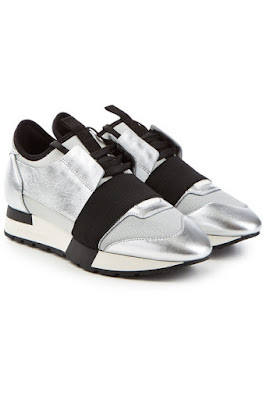 The futuristic look will breathe street-led credibility into any edit. 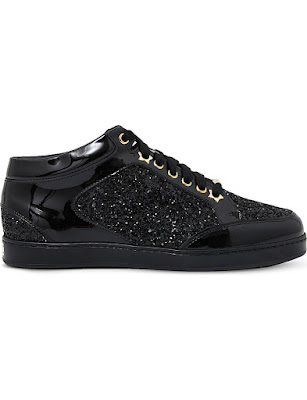 Carry Jimmy Choo’s iconic sense of glamour through to your casual footwear with the Miami sneakers. 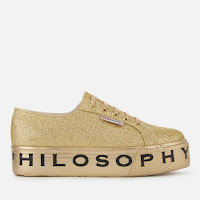 Empowering women the world over since the early 1990s, this pair’s inescapable downtown vibe receives the London label’s signature glamorous touch with a sprinkling of coarse glitter. Styled in a comfortable low-top silhouette, we suggest teaming with distressed denim for a stylish spin on your weekend look. 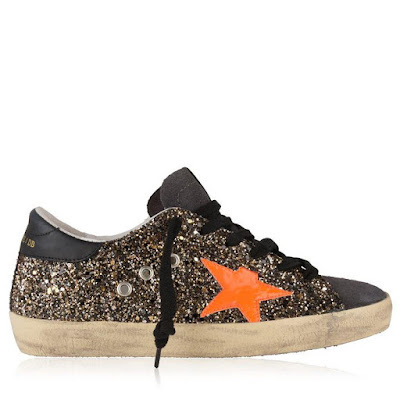 Refresh your footwear collection with these glitter superstar trainers from Golden Goose Deluxe Brand. Boasting heavily glittered panels to the sides, this low top pair feature a tonal lace up closure, a rounded toe and branding to the tongue and heel. The brands signature star print to the side in a fluorescent design finishes this pair. Amp up your street style status courtesy of Alexander McQueen’s signature Runway trainers, reworked with cracked-metallic panels. Crafted from smooth leather, they’re propped up on platform soles and styled with tonal laces to make that glossy detailing truly stand out. 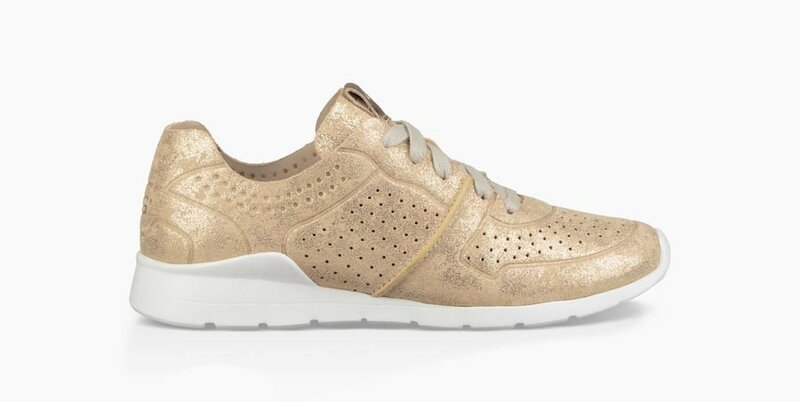 Couple them with your favourite faded-wash denim and a slouchy tee for an athleisure-inspired weekend look. 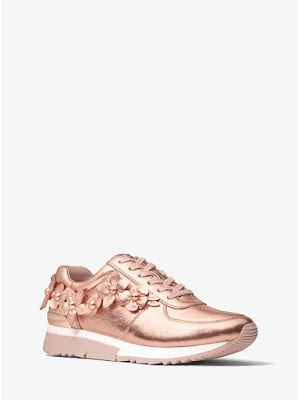 Romantic floral appliqués elevate these covetable metallic leather Allie sneakers. 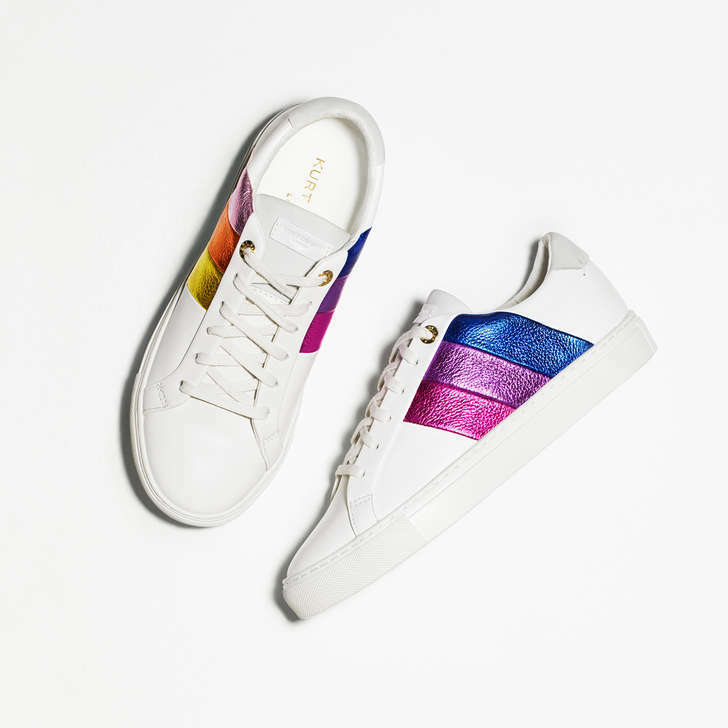 Finished with a polished logo, this lace-up pair will take any look from leisurely to luxe. 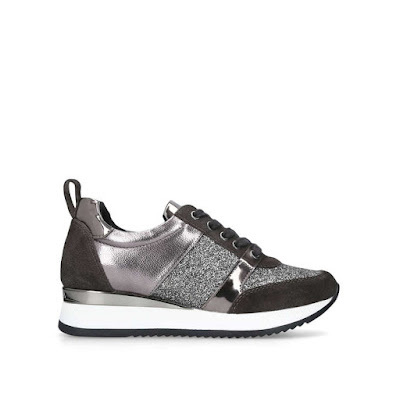 Surprisingly lightweight and made for all-day walking, these Tye sneaker is crafted from soft nubuck leather with a subtle, glittery sheen and a super-flexible outsole. The perfect accessory to athleisure wear, it also pairs with a silky midi skirt and cuffed tee for the weekend. Sneak a little height into your look with a fresh, pumped-up trainer. Justified is loaded with Carvela branding all over the upper, which comprises of grey suede, metallic panels and glitter detailing. A hidden wedge adds a touch of hush-hush height and ensures maximum comfort.